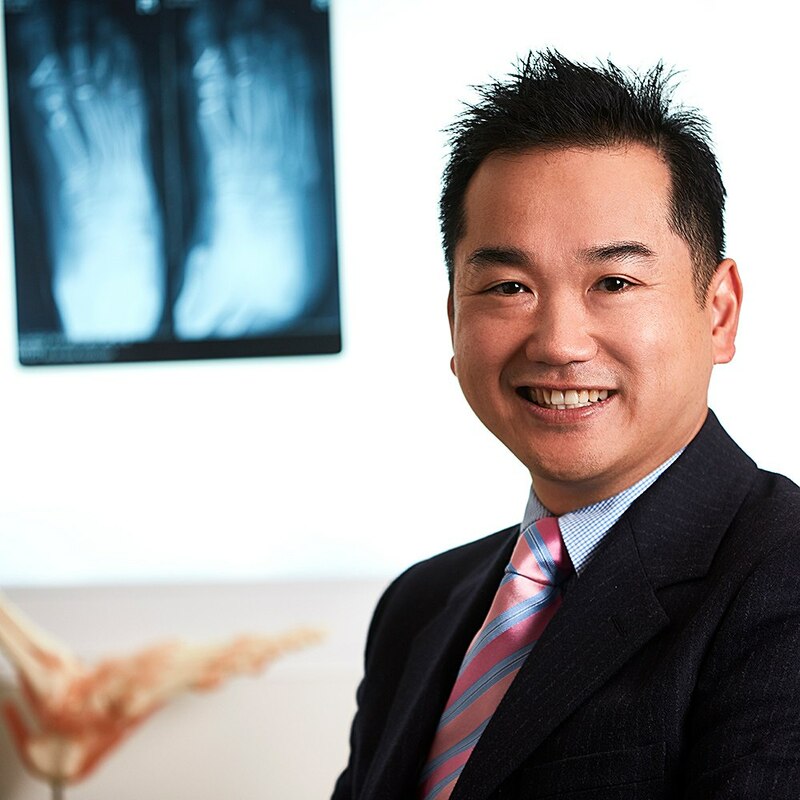 Mr Wang obtained his medical degree from the University of Melbourne in 1998 and completed his orthopaedic surgical training in Victoria gaining his Fellowship of the Royal Australian College of Surgeons in Orthopaedic Surgery in 2006. He then completed international fellowships in Cambridge and Bristol in the UK specialising in foot, ankle and knee surgery. During these fellowships, Mr Wang regularly operated on high profile sporting figures from codes such as cricket, football and rugby. 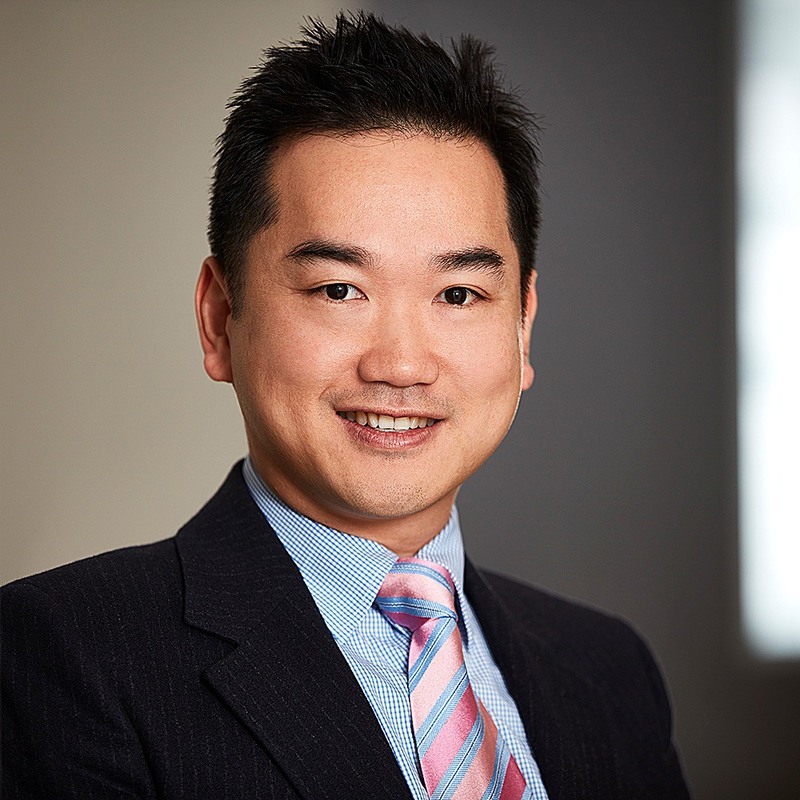 Mr Wang has trained particularly in many aspects of arthroscopic or “keyhole” surgery. In addition, he gained invaluable knowledge from visiting internationally renowned orthopaedic surgeons throughout Europe such as Prof. Van Diijk in Amsterdam. He has also visited Dr. Barouk in Bordeaux who has pioneered bunion surgery internationally with the “Scarf Akin” osteotomy. 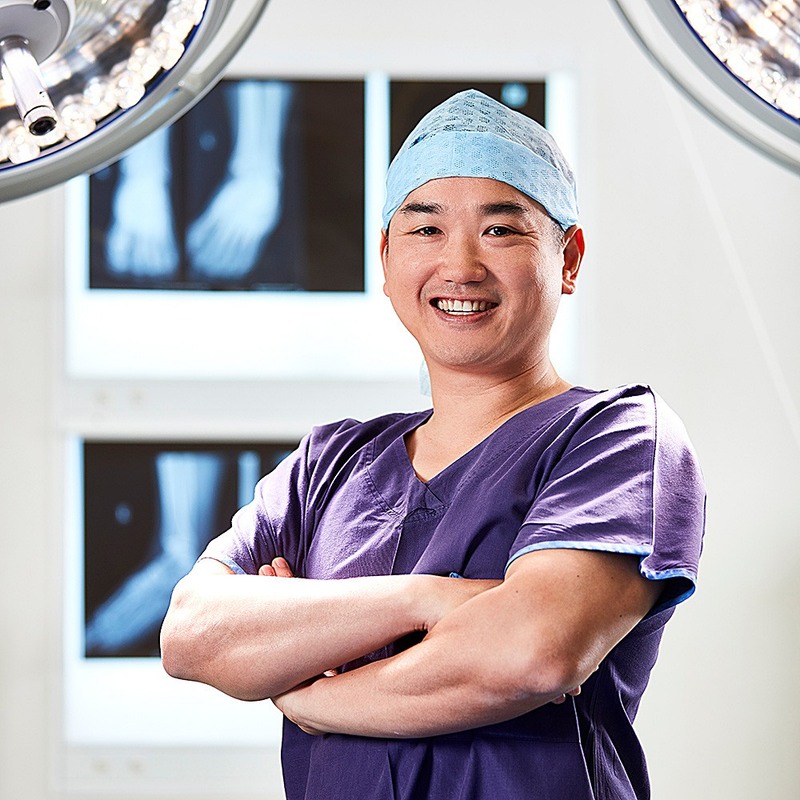 His interest and specialisation cover all aspects of foot and ankle surgery including conditions ranging from sporting injuries, both elite and the weekend warrior, to degenerative and reconstructive conditions. He offers a friendly and professional service with particular emphasis on open communication and the highest standards of surgical practice. He is a specialist in both sports and reconstructive foot, ankle and knee surgery. Mr Wang will carefully listen as you tell him about your presenting condition. He will then examine and explain to you the likely diagnosis. You may be required to have a specialist scan such as a MRI or CT. 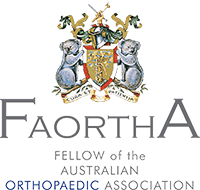 He will give you a balanced and thorough explanation of the pros and cons of any proposed orthopaedic surgery including details of rehabilitation and likely outcomes. In addition to being determined to address all of your concerns and to meet your expectations, he works with a professional team of physiotherapists, podiatrists and orthotists all dedicated to giving you the best service, treatment and most importantly, the correct orthopaedic advice.